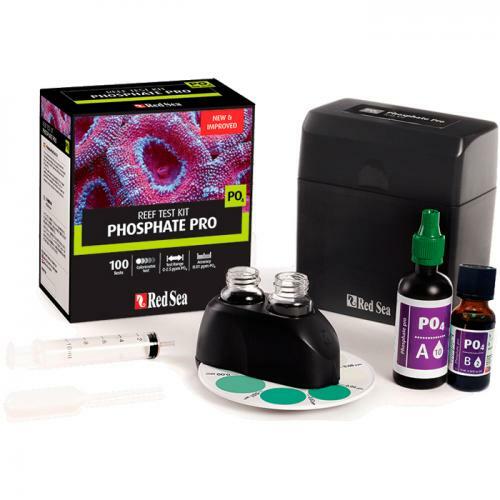 Brief Description: Red Sea’s Phosphate Pro Reef Test Kit is an advanced colorimetric test with comparator, measuring the level of phosphate in your reef aquarium to an exceptionally high accuracy of 0.02ppm PO4. Notify me when "Red Sea Phosphate Pro Test Kit [100 tests]" is re-stocked. 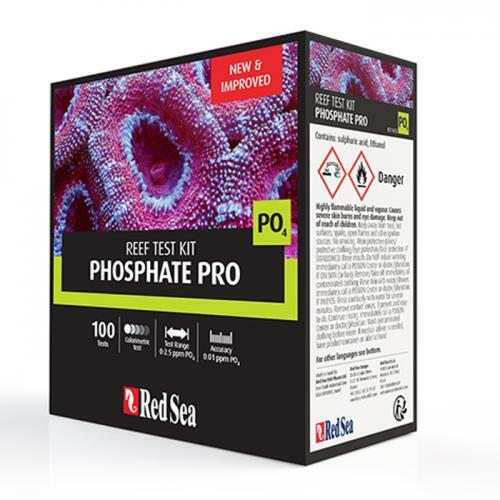 Red Sea’s Phosphate Pro Reef Test Kit, when used in conjunction with the Nitrate Pro Reef Test Kit, enables accurate dosing of Red Sea’s NO3:PO4– X (Biological Nitrate and Phosphate reducer) which is part of the complete Red Sea Reef Care Program. Red Sea’s Phosphate Pro Peef Test kit includes a durable, chemical resistant plastic case and analytical grade glass vials.